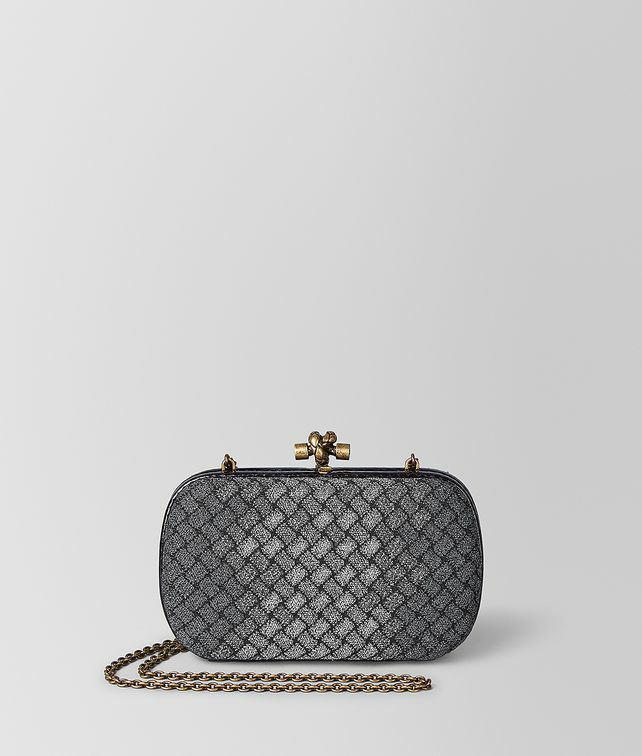 The Chain Knot, a larger variation of our iconic Knot minaudière with a slim shoulder strap, is new for the season in a new workmanship that recalls our signature intrecciato. The intricate design features a shimmering, dégradé jacquard weave. The clutch is finished with an ayers frame, a suede-lined interior and the knot fastener engraved in the intrecciato motif.